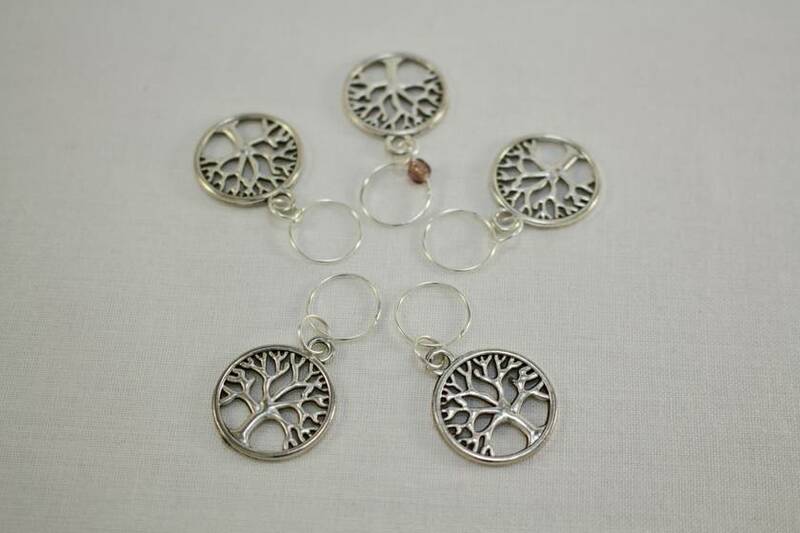 Keep track of important spots in your knitting patterns with this lovely set of 5 Tree of Life knitting stitch markers. 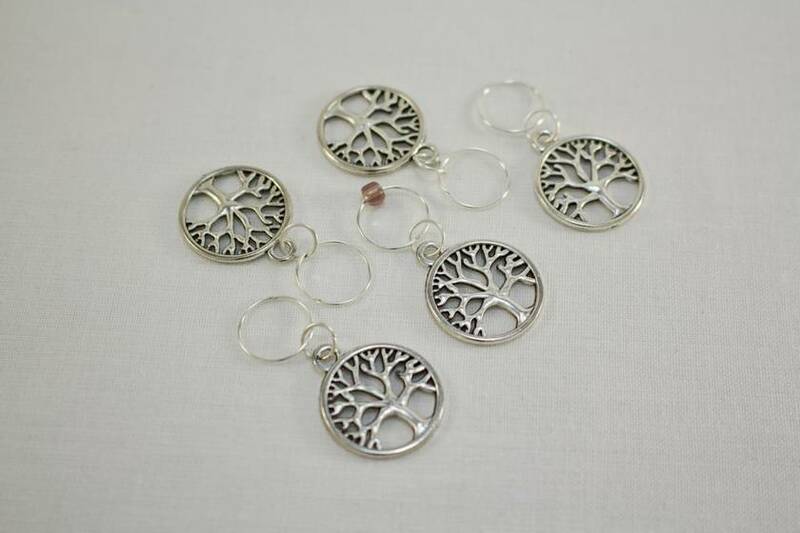 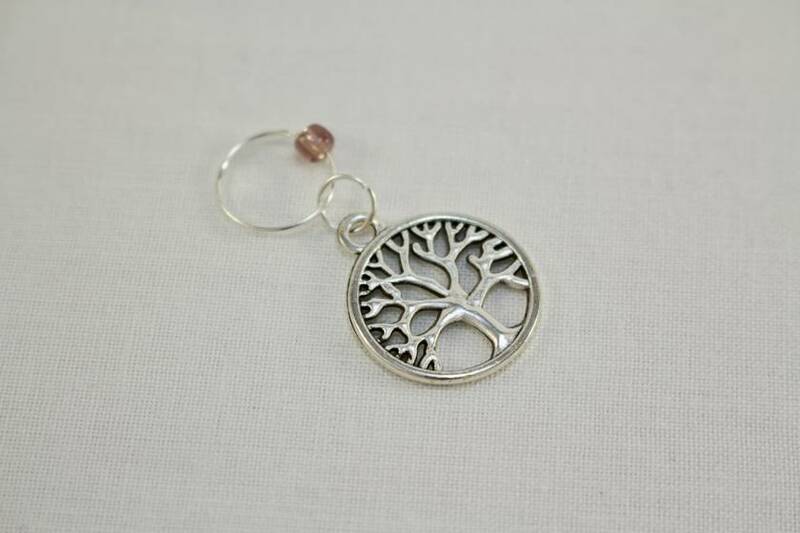 The stitch markers feature beautiful Tibetan Silver style Tree of Life charms, with one charm containing a glass seed beed which helps you designate the beginning and end of a row. 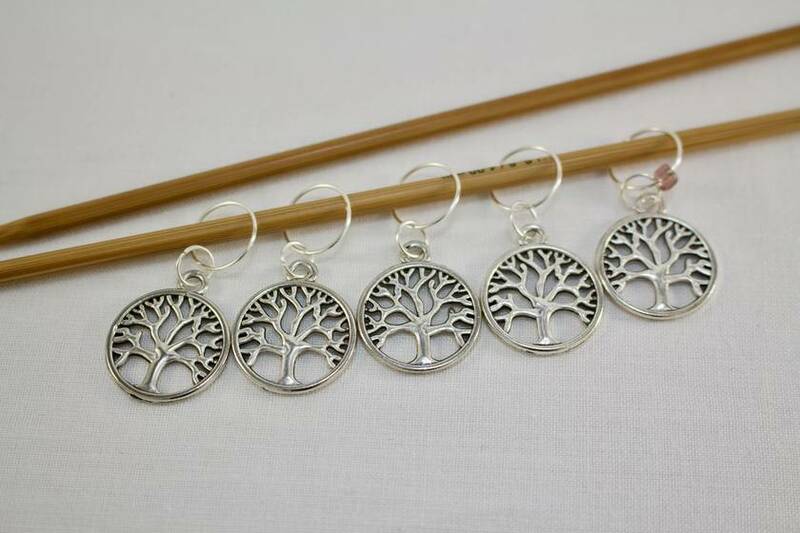 The stitch markers will fit up to a size 8 mm knitting needle.